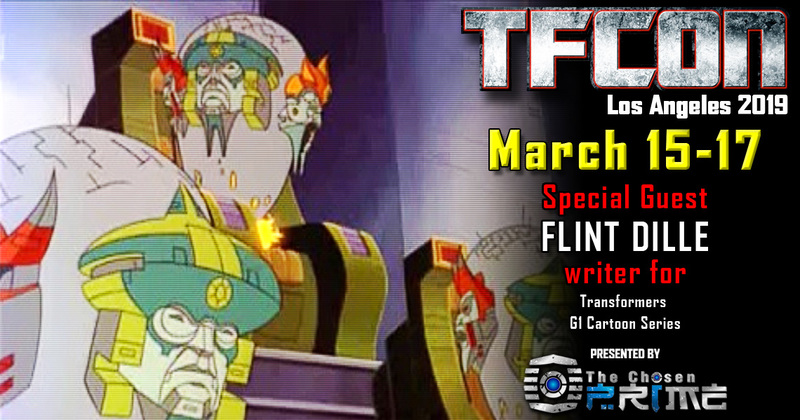 TFcon is very pleased to welcome back Generation 1 writer Flint Dille as a guest at Los Angeles 2019. Flint is a writer and story editor who wrote episodes for numerous Sunbow Productions in the 1980s, including G.I. Joe, Inhumanoids, Visionaries, and The Transformers. As a story editor on the original Transformers cartoon, he was responsible for approving and supervising the writing of scripts, as well as maintaining continuity, and developing the origin of the Transformers. Flint Dille is presented by The Chosen Prime.